It is a world of super-heroes and super-villains. But this is not their story. This is the story of four pre-teens whose friendship (if it can be called that) is based more on proximity than common ground and the search for a lost younger brother that leads them to a horrifying discovery. I must confess dissatisfaction with the above summary. 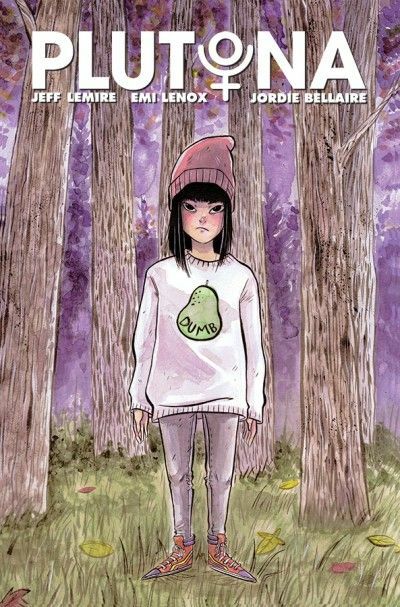 It tells you about Plutona #1 in only the broadest of terms. Yet that is the only way I can describe this book without giving away the game. The only way to truly appreciate this book is to go in blind as I did. To say more, even in comparing it to a classic work of literature it demands comparison to, would be to deny you of one of the best reading experiences I've had in some time. I can say this much. 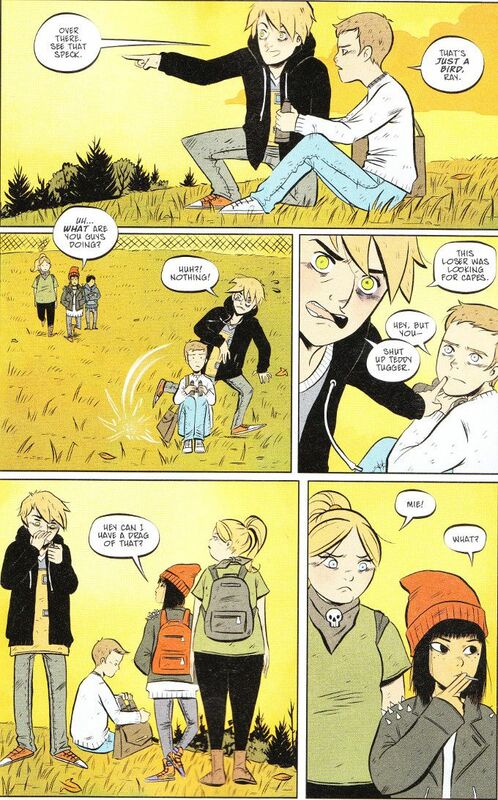 What Jeff Lemire, Emi Lenox and Jordie Bellaire have created here is immediately and obviously special. And you'd be a damned fool not to pick this book up immediately.